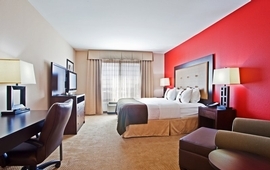 Our Park Snooze and Fly Package includes 2 weeks of free parking at the hotel near Chicago Midway Airport while you're enjoying vacation and a one night's stay at Holiday Inn Chicago - Midway Airport the night before your flight. Alternatively, we can provide hotel accommodations on the night of your return. Lastly, shuttle transfers will be provided to Chicago Midway Airport when you depart and transfer you back to Holiday Inn Chicago - Midway Airport upon your return so you may get your vehicle. If you have a late landing, staying the night of your return is also an option. You can take advantage of parking your car at the hotel prior to your flight and getting well rested at the hotel the night of your return. Our Park Snooze and Fly Packages are an excellent way to make airport parking convenient and affordable. The Holiday Inn Chicago - Midway Airport allows late arrival check-in so you know your room will be ready even if you have a late landing. 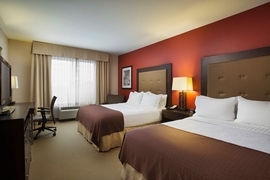 The Holiday Inn Chicago - Midway Airport, will allow you to extend your parking duration by booking a room on the outbound and return of your trip. If you need more parking than the included free parking at the Holiday Inn Chicago - Midway Airport, you may extend the parking duration for an additional fee of (17.00 Per Additional Day) paid to the hotel. 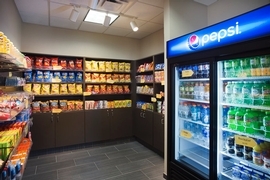 Holiday Inn hotels are one of the most well-known brands in the industry. This longstanding brand is full-service. 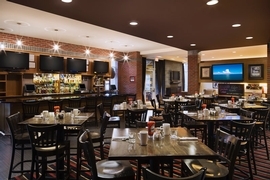 These hotels are extremely family oriented, and kids eat free in the restaurants. Holiday Inns also have lounges as well. 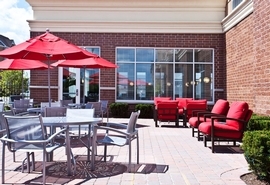 Most Holiday Inns also have exercise facilities and pools (either indoor or outdoor). 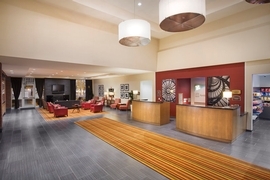 Continue to stay connected with the hotel's free access to high-speed Internet, both in room and throughout the hotel. 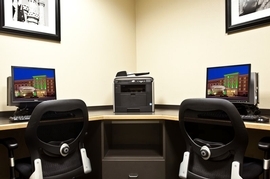 The hotel also has business services where you can use computers, printers, or fax machines. Each family-oriented hotel is typically individually-owned, so each property is unique! If you haven't stayed at a Holiday Inn in the past, try it out on your next trip! 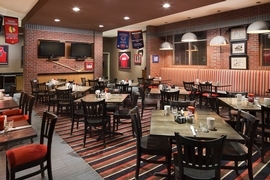 (*Please note: Holiday Inn & Suites properties have both standard rooms and suites. Our packages only include standard rooms.) Click here to see all of our Holiday Inn, Holiday Inn & Suites hotels which we offer in alternate cities.